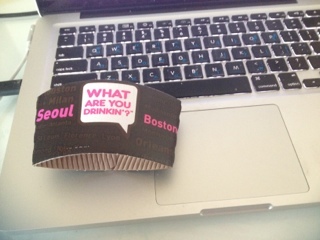 This was my coffee sleeve this morning. On a related note, I'm catching up on a lot of writing today, so new posts and a mildly exciting announcement coming soon! Language barriers and things that break them.